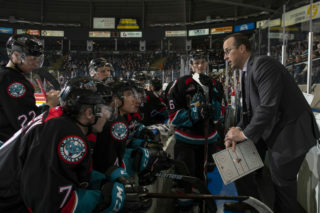 It was a solid opening weekend for the four Kelowna Rockets players sent off to the AHL last week. 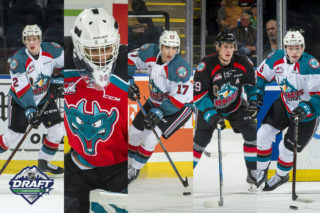 The Rockets sent Captain Cal Foote, Assistant Captain Dillon Dube, leading goal scorer Carsen Twarynski, and leading point getter Kole Lind off to compete in the AHL post season with their respective NHL affiliate clubs. Things couldn’t have started much better for Cal Foote. He scored a goal in his first ever pro game, on his first ever pro shot. 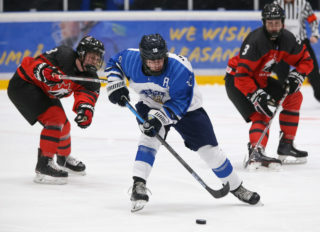 Cal was named the second star of the game that evening in a 4-3 shootout loss that the Syracuse Crunch, AHL affiliate of the Tampa Bay Lightning, suffered to the Binghamton Devils. Through his first three games, Cal has one goal and has a +1 +/- rating. 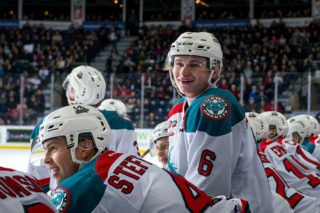 Dillon Dube got off to a hot start in his first three games(this season) with the Stockton Heat (AHL affiliate of the Calgary Flames) as well. Having dressed for one playoff game last season for the Heat, these games weren’t his very first pro experience, but pretty much. 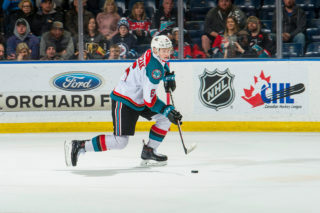 Though he didn’t register a point in his first two games this weekend, Dube remained poised, and notched two assists in a loss to Rourke Chartier and the San Jose Barracuda in his third game on Saturday. Through three games so far Dube has two assists and has a -1 +/- rating. Carsen Twarynski made his presence felt in his first three games as well, scoring his first pro goal on Sunday in a 6-3 Lehigh Valley Phantoms (AHL affiliate of the Philadelphia Flyers) victory over the Providence Bruins. In three games so far, Twarynski has one goal and a -1 +/- rating. 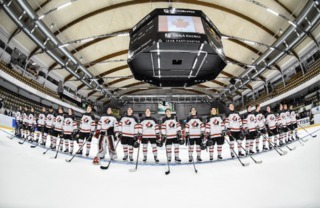 Kole Lind has yet to register a point in his first three games with the Utica Comets (AHL affiliate of the Vancouver Canucks) but is finding his stride at the pro level. The Comets liked Lind’s game enough to name him as a starter on Saturday night as he faced Cal Foote and the Syracuse Crunch. Foote and the Crunch prevailed 1-0 that evening.